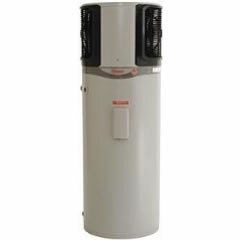 Designed with the smaller family or couple in mind, the MPi-325 can provide hot water at a third of the cost of a standard water heater. A smaller compressor allows a lower operating noise level making the MPi-325 one of the quietest on the market. 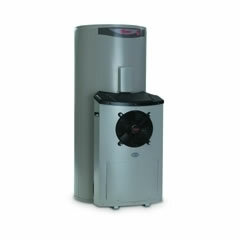 The large 325 litre cylinder means the heat pump runs at a constant optimised rate topping up as water is drawn off. Although the cylinder is 325 litres this system would suit a household using up to 250 litres of hot water per day. A back up element is also standard with this model and the simple two piece design allows for easy installation by one person.